Congratulations and Happy birthday from France. That’s nice to hear from you being a regular visitor… Humbled to know that.. 🙏🙏🙏. Thats a mighty long time, buddy. Keep going. More power to your blog. Congrats bro. Best wishes and good luck. All the best n blessings. Do you know, My blogging journey is only 4 years old. That way, you are more experienced than me. 😊 yes , I agree. I started blogging as a hobby and now it’s part of my life. Congratulations 🎉 and Happy anniversary 😊 wish you many blogging years to come! 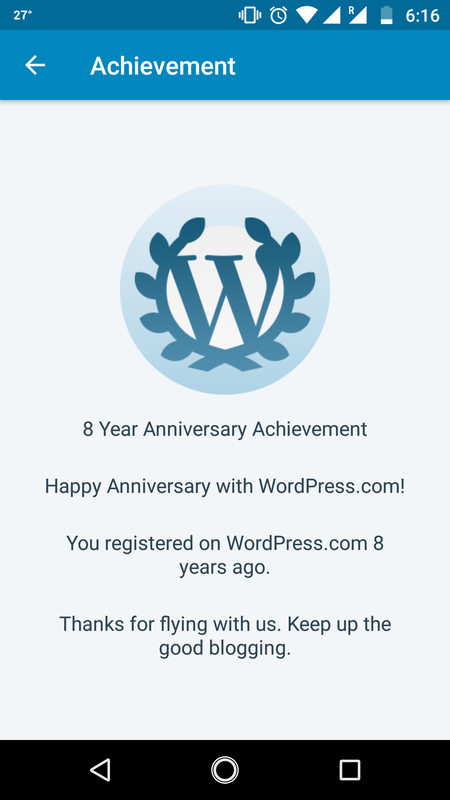 Wow, 8 years already! Congratulations, Ashish. Happy to have you here! I wish I could be over to visit more frequently but I am very glad we are connected. Thank you for your inspiration! Congratulations and wishes for continued happiness in this space! Thank you for following Supper Plate! We hope you find a recipe or two that you will enjoy. We are following your blog and looking forward to your posts! Congratulations for reaching this milestone!! Thank you so much Eva for your kind words and lovely wishes. Means a lot to me… Readers appreciation is the biggest reward for a writer… 🙏🙏🙏 I’m honored and humbled to hear from you. I wish you all the very best for your journey in blogging world. 👍 Hope you will have a great time time in blogosphere and will keep offering your readers including me your valuable literary pieces from time to time… 👍🙏🤗. Well done. So Writ. Inspiring. Happy blogversary and wish you many more! Heartiest congratulations and wishing you a very happy blogversary! Congrats Bro, its really not an easy job to run a blog for eight years. That’s a long time! Congrats! I wish all success for your journey…. Wow! What a wonderful accomplishment! Congratulations and here’s to another eight years and more… Cheers!